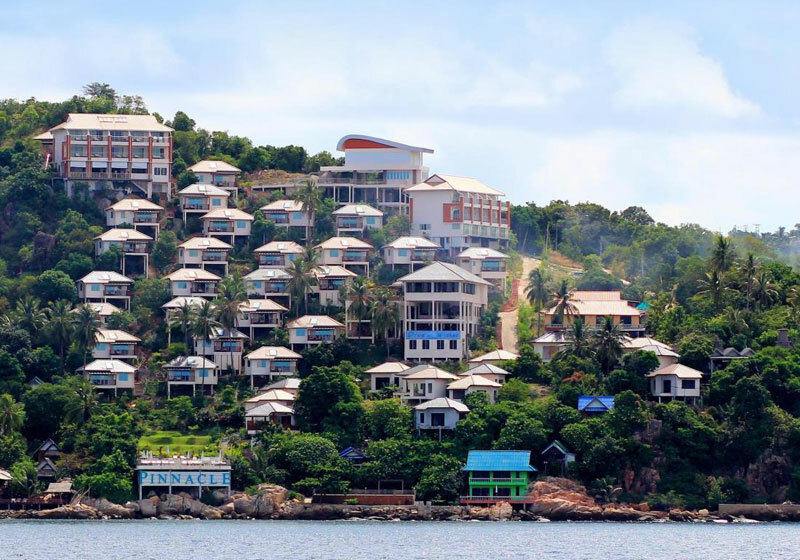 Pinnacle Koh Tao Resort provides an island escape for the true leisure traveler. Enjoy the sunset from the lounge bed on your room balcony which provides unblocked panoramic views of the Gulf of Thailand. The resort is remotely located but has its own restaurant, bar, pool, and private beach, allowing you to experience true relaxation under the world renowned Thai hospitality. Explore the beautiful underwater world by either snorkeling or diving with the resort’s own dive school located on-site. Should you wish to explore the nightlife of Koh Tao, the resort offers a frequent shuttle service to Mae Haad pier and Sairee. The resort also provides a golf cart shuttle service to help get around with more ease. All rooms are fully equipped with a mini bar, television, refrigerator, and air conditioning. Room service and tours are also made available here. Guests will find that Pinnacle Koh Tao Resort and its superb facilities and amenities provides excellent value. Short Description: Pinnacle Koh Tao Resort provides an island escape for the true leisure traveler. Enjoy the sunset from the lounge bed on your room balcony which provides unblocked panoramic views of the Gulf of Thailand.